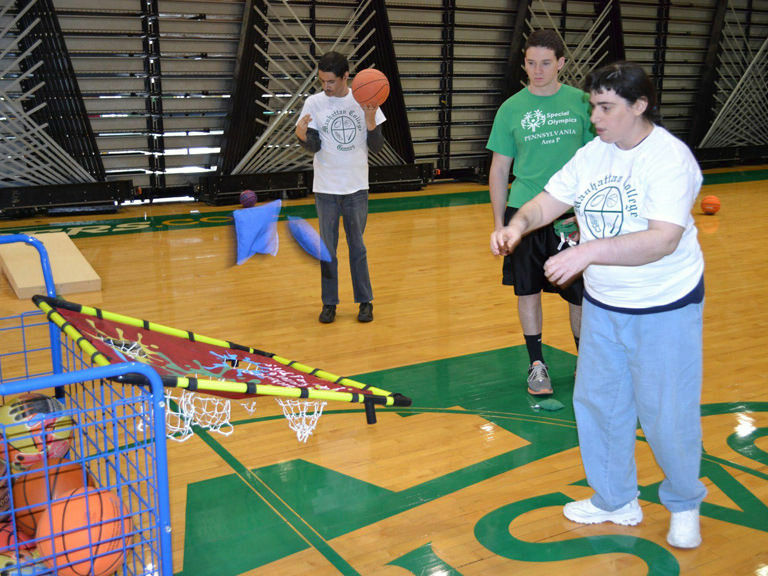 The Manhattan College Games is an annual day of activities for people with special needs. During this spirited and fun event, children and adults with mental and physical disabilities from New York City, Westchester County and Rockland County receive individual attention from Manhattan College volunteers as they participate in a variety of non-competitive sports and physical activities. Typically, more than 100 volunteers participate from the Manhattan College community. Athletes are generally involved in more than three hours of activity, including the opening parade, the awards ceremony and other planned events. The Manhattan College Games is open to all students who wish to volunteer. Contact the School of Education and Health for more information.